Mosquito season in the south is here! Yes, we know what you’re thinking…so soon? We usually get one pleasant month of spring before mosquitoes start biting. But with the unpredictable, on-again, off-again warm weather we’ve had all winter, it’s really no surprise that mosquitoes are active earlier this year. So what does this mean for you and your family? Painful mosquito bites, allergic reactions, higher risk of contracting mosquito-borne diseases, and less time you’ll be enjoying outdoors. Yes, it’s hot and no, you probably don’t want to wear long-sleeves and pants. But, covering your arms and legs when outside, during peak mosquito season, is one of the easiest and most effective ways to prevent mosquito bites. Check for areas of standing water around your home frequently and remove the sources of standing water, if possible. Mosquitoes breed in stagnant water so the more standing water around on your property, the more mosquitoes you’ll encounter. Standing water is commonly found in bird baths, children’s toys, flower pots, rain gutters, buckets, and other containers. The active ingredient DEET is proven to be effective at repelling mosquitoes and other biting insects and protecting against mosquito-borne diseases like Zika virus, West Nile, and Encephalitis. Use on exposed skin when outdoors and repeat, as needed, if you’re outside for several hours. You may be tempted to leave windows and doors open to take advantage of spring weather. If so, make sure all windows and doors have screens without holes or tears, to prevent mosquitoes from coming inside your home. Mosquitoes are most active between dusk and dawn. Avoid going outside during those times, if possible. Because mosquitoes are attracted to the lactic acid in sweat, outdoor workouts should be limited during mosquito season, especially if you have sensitivity or an allergy to mosquito bites. And if you do choose to workout outdoors, wear mosquito repellent with DEET and long-sleeves and pants to reduce the risk of being bitten. Outdoor fans, on decks, patios, and around pools, are a great way to keep the mosquitoes away. Mosquitoes are weak fliers, so a powerful fan is a great mosquito deterrent for smaller areas. Mosquitoes tend to be more attracted to darker colors, so wearing lighter colors will reduce your chances of an attack. Sounds ridiculous right? But apparently mosquitoes are beer lovers too. While the exact reason for the attraction is unknown, some believe it’s related to an elevated body temperature when drinking alcohol and the amount of ethanol excreted when sweating. Avoiding high body temperatures can be impossible in the south’s summer heat and humidity. But, mosquitoes are attracted to elevated body temperatures, making you more likely to be bitten. Do what you can do stay out of the heat and keep your body cool. Sometimes you can do everything possible to prevent mosquito bites and still get bitten. 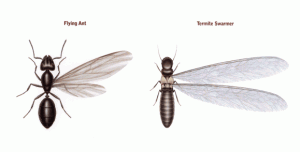 Consider calling a professional mosquito control company that specializes in mosquito prevention. An effective mosquito control program targets mosquito larvae (breeding sites) and adult mosquitoes (resting areas), with eco-friendly mosquito treatment options that are family and pet-friendly. A mosquito exterminator will also identify problem areas and provide recommendations for ongoing mosquito prevention. With summer coming up, we want to make sure that we can protect our children from mosquitos. Especially in our backyard, we tend to have a lot of mosquitos. These are some great tips to help with the bugs, but as you said, if the problem persists, it can be a good idea to call a professional pest control company.